Heavy rains hit several parts of the National Capital in the wee hours of Tuesday, bringing respite from the scorching heat. The India Meteorological Department (IMD) had earlier predicted heavy rain at isolated places over Uttarakhand, Haryana, Chandigarh, Delhi, Uttar Pradesh, East Rajasthan, Madhya Pradesh, Chhattisgarh, Vidarbha, Sub­Himalayan West Bengal, Sikkim, Nagaland, Manipur, Mizoram, Tripura, Konkan, Goa, Telangana and Coastal Karnataka on Tuesday. 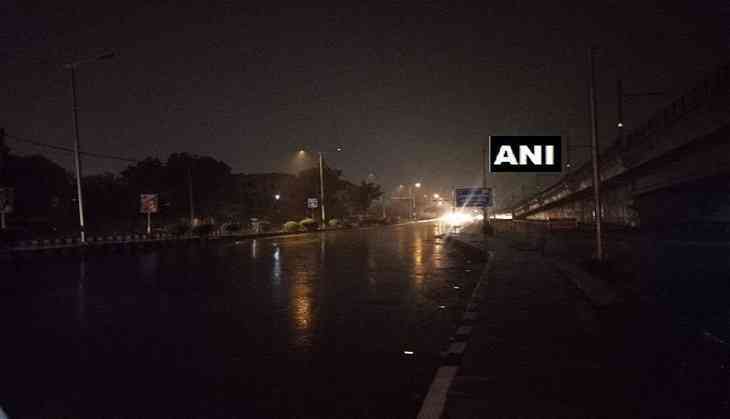 Heavy rain accompanied with lightening was reported around Indira Gandhi International (IGI) Airport, Teen Murti Bhavan and R.K. Puram among other areas.